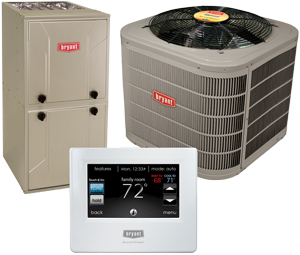 Replace your old equipment with an energy-efficient Bryant system. We service and repair all makes on models of HVAC equipment! Keep your system running at maximum efficiency for years to come! Call for full details. One per household. seasonal maintenance, we ensure lasting satisfaction and dependable operation. We also offer comprehensive duct cleaning and indoor air quality products to create a cleaner, healthier, and more comfortable indoor environment, whether you are relaxing at home or hard at work. At Hammond Heating & Air Conditioning, we hold ourselves to a higher standard of quality. Every project is managed with personalized attention, quick turnaround, and unwavering professionalism. Know that we value your time, and strive to accommodate your schedule and minimize intrusion. We never leave you waiting, wondering when a service technician will arrive, but provide prompt response every time. Our service team treats your home, commercial facility, and property with respect, never leaving behind damage, discarded equipment, or mess. To eliminate unpleasant surprises, we detail all aspects of necessary repairs and adhere to flat rate pricing, allowing you to make cost-effective decisions. We provide informed recommendations and stand behind our work with a sixty-day warranty on all standard repair services. Larger repairs are protected by a one year warranty. By getting the job done right the first time, we avoid multiple house calls and ensure safe, efficient, and consistent operation. It is always our goal to restore your heating/cooling equipment to pristine condition and lengthen service life. For residential and commercial heating and cooling installation, Hammond Heating & Air Conditioning works closely with you to achieve your goals for cost, comfort, and modern conveniences. We offer a wide selection of leading-edge systems, sized and implemented to maximize return on your investment. We ensure your complete satisfaction with our One Year 100% Guarantee on equipment, workmanship, and performance. If at any time, during the first year of installation, you are not totally satisfied, Hammond Heating & Air Conditioning will provide any necessary repairs or modifications to installed components at no cost to you. Along with our 100% Guarantee, we safeguard your new system with a complimentary one-year maintenance program, which includes two complete system tune-ups and cleanings. Get the most out of your HVAC systems with our expert repairs, installations, and maintenance for all of Northeastern Florida! Recognizing the importance of seasonal HVAC maintenance, Hammond Heating & Air Conditioning makes it quick, affordable, and simple to schedule essential service. Our factory-trained and certified specialists provide effective troubleshooting of your heating and cooling equipment, optimizing all components for superior and consistent performance. You’ll benefit from far fewer repair needs, extended system life, reduced operational costs, maximized efficiency, cleaner and healthier breathing air, safe operation, and greater comfort. Whether you are looking for effective repairs, conscientious maintenance, or accurate installation, Hammond Heating & Air Conditioning upholds a longstanding reputation for honesty, integrity, and dependability. When you trust your comfort to us, we treat you right.